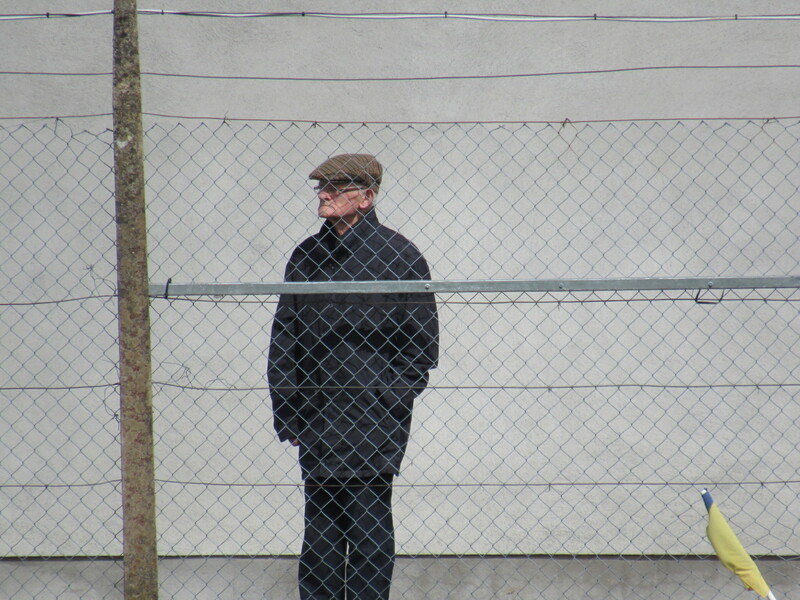 Drumgoon entertained west cavan side Corlough on Sunday afternoon last on Boyle Park. Corlough battled bravely from start to finish, but the home sides greater experience told in the end, and they were always able to keep comfortably ahead. Despite playing into a stiff breeze, Corlough went into an early lead through their lively full forward Darren Mc Taggart. Darren added another point from a free, before Drumgoon opened their account from wing back Mark Murray. Simon Boyle was playing a roving role from corner back, and he soon levelled the scores. Drumgoon then went ahead for the first time through a well taken free from Conal Farrell. 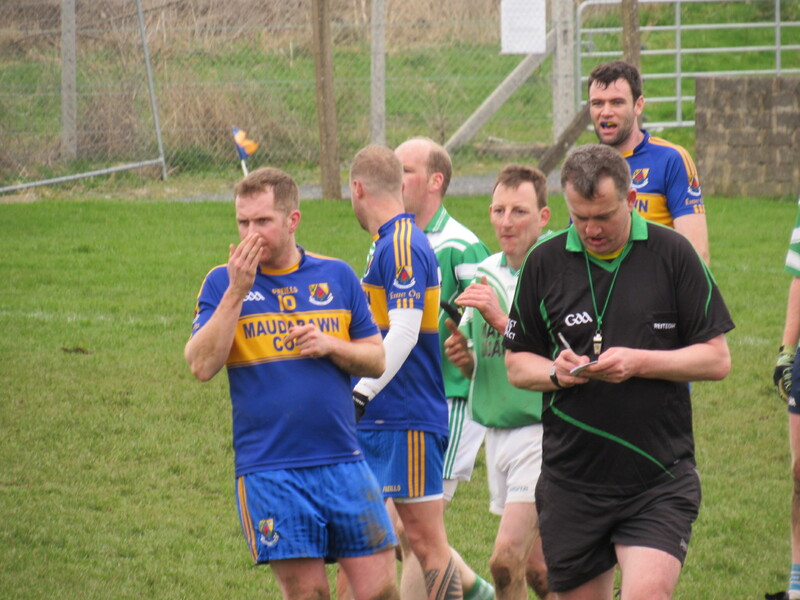 Pauric Mc Gorry then hit form and shot over 3 unanswered points. Aogan Farrell dashed onto a long range ball and shot to the net. Darren Mc Taggart was trying hard for Corlough and he replied with a good long range free. 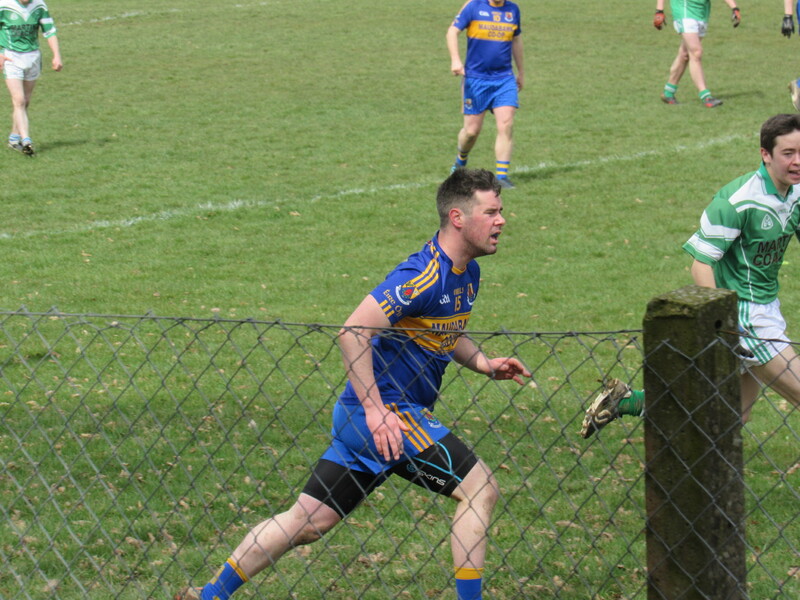 Jim Mc Nally and Aogan were performing well in the full forward line, and they added points to leave the scores 1 – 11 to 0 – 03 at half time. 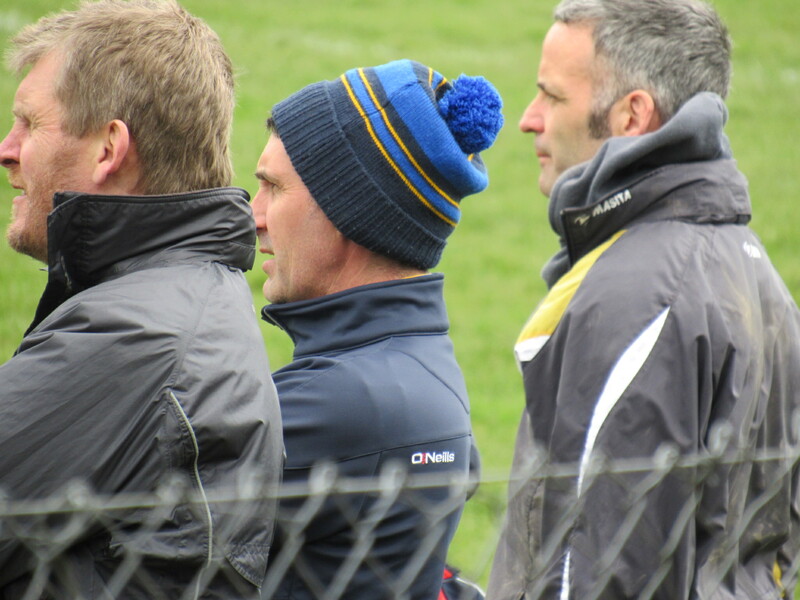 Corlough battled hard after time and Brian Cassidy and Darren Mc Taggart were on target. 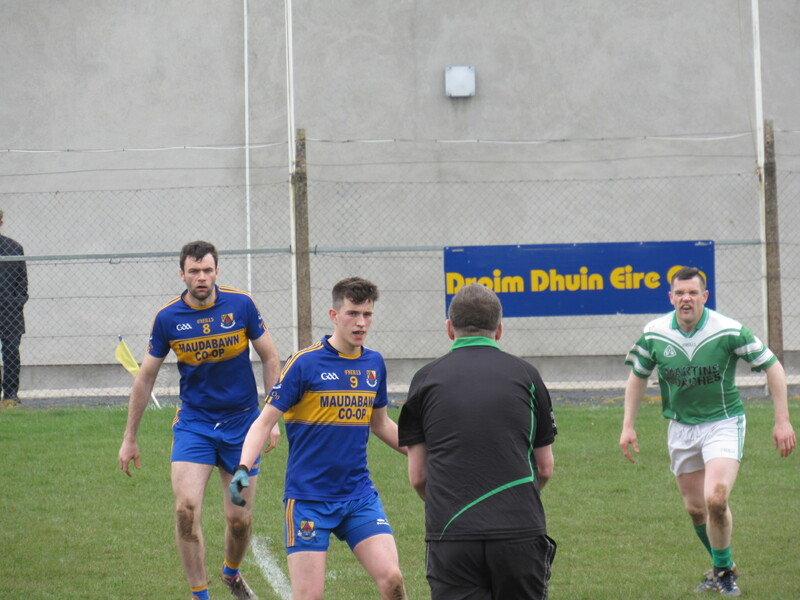 Ronan Mc Donald was superb for Drumgoon at midfield and the strong running Conor Moynagh caused all sorts of problems in the Corlough defence. Conor burst through for a brilliant individual goal and then a well worked team goal was palmed to the net by Aogan Farrell after he was set up by Pauric Mc Gorry. Substitute Adrian Mc Cluskey scored his first senior point and the last word went to Donal Mc Taggart for Corlough.